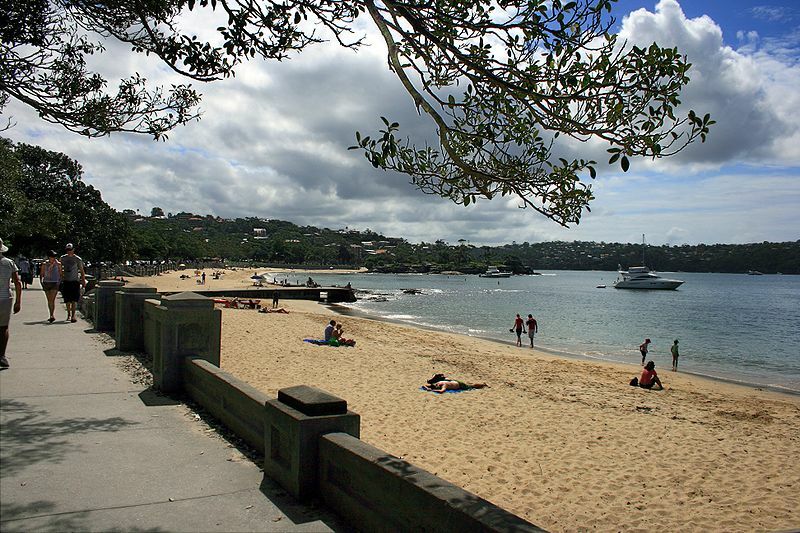 The beautiful beaches in Sydney aren't limited to the city's Pacific Ocean coastline. On the contrary, if you visit the city you'll find white sand along stretches of Sydney's harbours, rivers and bays as well. A city famous for its sunny climate and laid back vibe, Sydney is always attracting travellers looking to kick back on one of its many beaches. 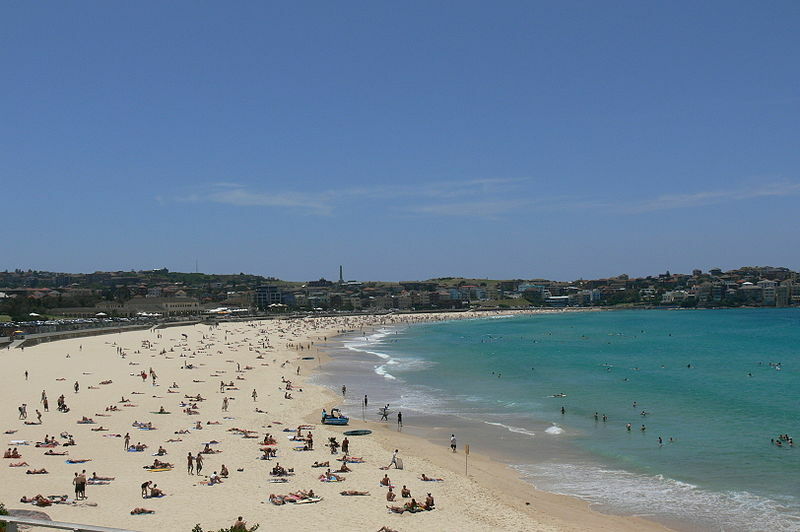 If travelling through the city in your Sydney motorhome rental you will have a myriad of beaches to choose from. 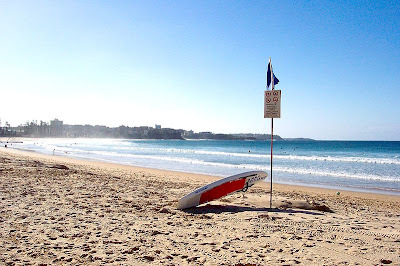 There are the "ocean beaches," which are divided into the Northern (found at the north point of Sydney Harbour) and the Southern, located in Cronulla and the city's eastern suburbs, as well as ones found in various bays and harbours. From famous names like Bondi and Manly (where there are really eight beaches to be enjoyed) to stretches of sand in Botany Bay and along the Hawkesbury River the only problem you'll have in Sydney is choosing which beaches to visit. 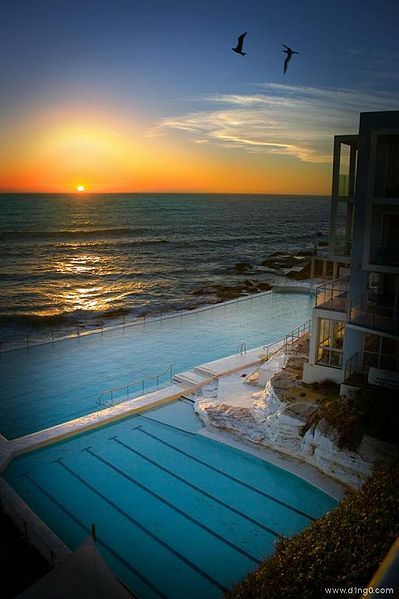 In the Eastern suburbs of Sydney, only kilometres from the city's financial centre, you will find the world famous Bondi Beach. Here you can enjoy sand, surf and sun, as well as many other beach sports like volleyball. And if you're lucky you may be able to spot whales, dolphins and even fairy penguins. For those who like some shop with their surf head to Campbell Parade and the streets nearby where you'll find happening restaurants and cafes that offer stunning views of the beach. Bondi is also famous for its lifesaving clubs, which have pioneered lifesaving techniques like the surf reel. Do beware, however, of the "Backpackers' Express," the famous rip current on the south side of the beach. Also located among the Eastern suburbs, between Clovelley Road, Carrington Road and Rainbow Street, is the beautiful Coogee Beach, Tasman Sea and Coogee Bay. This area is densley populated with more apartments than freestanding dwellings and is a popular destination for backpackers. The coastline around the beach is made up of cliffs of decreasing heights and the sea below is mostly saved from rough waters by the rocky reef known as Wedding Cake Island. At the northern end of the shore you can head down the steps towards Dolphin Point where there is a rock pool and a bronze sculpture commemorating the victims of the 2002 terrorist attack in Bali. Swimmers do need to be aware of the rapid drop off that occurs at Coogee and for the possibility of rip currents. 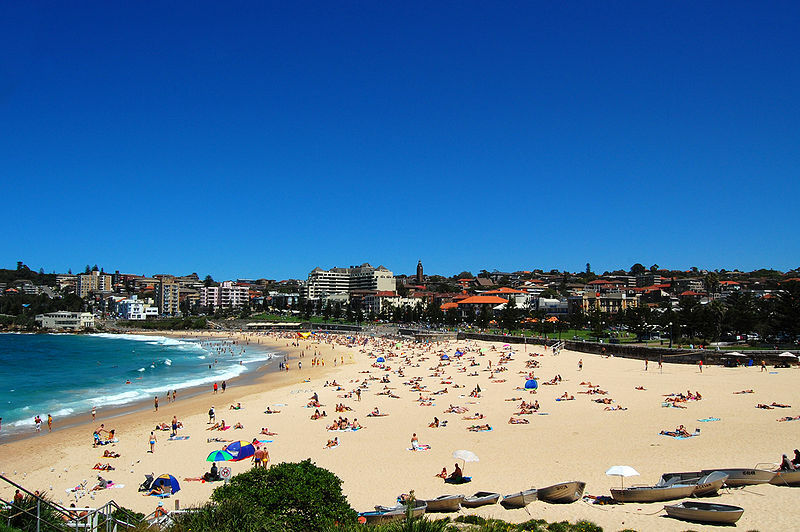 Tourists flock to the Sydney suburb of Manly to experience its miles of sandy shoreline. From Manly and North Steyne Beach to Queenscliffe and beyond you can find gorgeous spots to park your Sydney campervan hire and enjoy the day. Keep an eye out for Manly's iconic Norfolk Island pine trees, which the area is famous for. For some added fun head to The Corso, which stretches from Manly Wharf to Manly Beach along the harbour. This commercial area is filled with shops, restaurants and cafes to be enjoyed. To the west of Manly is Sydney Harbour, where you will find an aquarium, opportunities for sailing, and calm waters for swimming. In October the city holds its annual Jazz Festival, the largest community jazz event in the country. 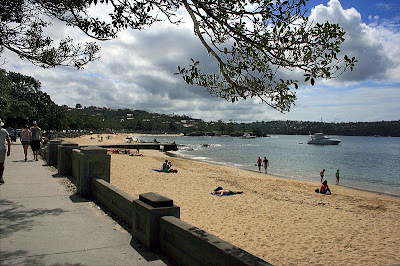 Balmoral is located in New South Wales in the suburb of Mosman and is famous for its beaches, namely Balmoral and Edwards Beaches. Here you will find luxe homes around the Balmoral Slopes area, prestigious because of the gorgeous views the area offers and its proximity to the ocean's sandy shores. Both Edwards and Balmoral are often referred to as just Balmoral and are divided by the a rock formation aptly named Rocky Point. There are harbour beaches here, too, protected from the ocean by Middle Head. This area of beach, along with the Rotunda, Bathers' Pavilion and walking promenade are filled with fig trees, greenery and natural beauty and have been a protected conservation area since the 1930s. If you want good food and some non-watery fun then its The Esplanade area adjacent to the beach that you want. Here you can find fast food or a la carte and lots of people watching as well as some great sunsets. 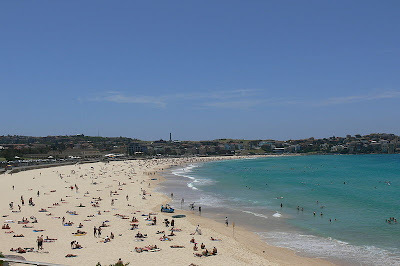 Whether you choose Bondi or Balmoral or one of the other many beaches in and around Sydney, you can't go wrong choosing the area for your beach motorhome vacation. To start your planning check out Sydney Motorhome Hire for great deals on a campervan rental, then select your beach and go!